June 5th is World Environment Day, which we believe is an important day to think about sustainability and other ways of protecting our planet. We hope some of these books from us will help carry the essential message of the day year-round. 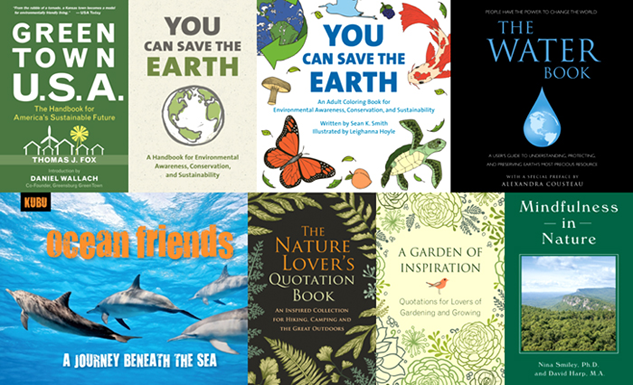 YOU CAN SAVE THE EARTH, REVISED EDITION provides even more reasons and ways to pay attention to our planet by being stewards to sustainability. Including the latest information from climate studies, international policy and critical ecological issues, this edition brings the same level of solution-centered discourse to the next level. YOU CAN SAVE THE EARTH COLORING BOOK is perfect for any age, and features interesting information on why and how to include sustainable strategies in our daily lives. Featuring a wide range of detailed pictures, you will love coloring in these amazing illustrations—all while coming to a greater appreciation for the world we live in, and our role as protectors of nature. THE WATER BOOK provides a comprehensive look at why water is so important, an overview of the dangers our water supplies currently face, and what we can do in our daily lives to help ensure clean, safe water for the future. Readers will be guided and empowered to make changes in their own lives to help preserve and protect Earth’s precious water supplies. OCEAN FRIENDS envelops children in the breathtaking underwater kingdoms of the world’s oceans, providing them with a deeper understanding of the plants and animals that live there, as well as touring the often startlingly beautiful landscapes of the marine world. THE NATURE LOVER’S QUOTATION BOOK is a collection of inspirational and meaningful quotes perfect for every lover of the great outdoors. From simple walks and hikes in the woods, to longer treks and camping, we eagerly search for opportunities to escape into nature. Now there is a beautiful collection of inspired readings to take along the trail and read around the campfire, or just contemplate at home. MINDFULNESS IN NATURE helps readers separate themselves from their busy lives, and allows them to engage in a deeper, more fulfilling relationship with the natural world around them through meditative practice. Mindfulness experts Dr. Nina Smiley and David Harp provide a meaningful way to nurture ourselves through a sense of spaciousness, calm, and connection with the out-of-doors. GREEN TOWN U.S.A. recounts Greensburg’s inspiring story of resilience, community, and sustainability which began on the evening of May 4, 2007, when a tornado destroyed their town. The book takes you through the entire reconstruction process, from Long-Term Community Recovery planning for Greensburg, to the latest advancements in green materials and technology, to the leadership and teambuilding necessary to realize an achievement of this magnitude. A GARDEN OF INSPIRATION celebrates the simple yet profound act of tending a garden. One of the most calming and personally fulfilling activities a person can engage in, growing and cultivating your own patch of ground provides a down-to-earth perspective from which simple, enduring pieces of wisdom and clarity come easy. 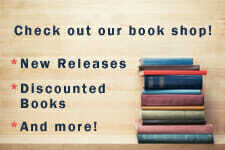 All titles are available wherever books are sold including Amazon and Barnes & Nobles.